Explor Resources Inc. (CVE:EXS) (OTCMKTS:EXSFF) (FRA:E1H1) announces the closing of a first tranche of a non-brokered private placement of a maximum of 16,000,000 flow-through units at a price of $0.07 each, for total gross proceeds of up to CDN $1,120,000. As many of you are aware, I have been accumulating Explor Resources (CVE:EXS) (OTCMKTS:EXSFF) (FRA:E1H1) since June of 2014. A number of Convertible Debentures, and Private Placements have been done to support ongoing operations since that time. President & CEO Chris Dupont has never participated personally in any of those placements. Explor Resources Inc. (CVE:EXS) (OTCMKTS:EXSFF) (FRA:E1H1) announces the closing of a first tranche of a non-brokered private placement of a maximum of 3,571,500 units at a price of $0.07 each, for total gross proceeds of up to CDN $250,000. Each unit is composed of one common share and one-half common share purchase warrant. Fundamentally speaking, management is sound, and infinitely qualified. A major German Investment Fund owns a large position. A major Montreal brokerage firm owns about 8-9% of the outstanding float. At least two Confidentiality Agreements have been signed with Explor (CVE:EXS) (FRA:E1H1) (OTCMKTS:EXSFF) in the past two months. A couple of other CA&apos;s are in legal process. If you&apos;ve ever been in a hurricane, there is a pronounced lull, where the winds die down for a few seconds, and everything gets eerily quiet. That lasts for a minute or two, and then the full rage of the storm unleashes. Explor (CVE:EXS) (FRA:E1H1) (OTCMKTS:EXSFF), both in the market for the stock, and corporately, appears to be in such a lull. Explor Resources Inc. ("Explor" or the "Corporation") (CVE:EXS) (OTCMKTS:EXSFF) (FRA:E1H1) is pleased to announce that it has signed a Memorandum of Understanding ("MOU") with the Matachewan First Nation of Matachewan, Ontario and the Mattagami First Nation of Gogama, Ontario (the "First Nations"), with respect to the Montrose Property. FORUM: Explor Resources Inc. (CVE:EXS) A Deal Looming? Recently, some opinion suggests that value will see a retracement, representing a great opportunity to buy into physical gold, futures contracts, and gold equities. All the large, & intermediate GOLD producers in the Timmins, & Duparquet Camps are actively seeking out sensible, & ultimately profitable property acquisitions to ensure feed for their hungry mills. Mining exploration is a long, and incredibly complex process. Looking at the Company&apos;s Timmins Porcupine West gold resource, recent drilling added a lot of credibility to an Open Pit start up scenario. FORUM: Explor Resources Inc. (CVE:EXS) Baffled..
I&apos;m just baffled by the recent trading activity in Explor. Gold is in the USD$1,330 range, and Copper USD$3.11. Those prices, when considered in relation to the Timmins Porcupine Gold Deposit, and the Chester Copper Deposit in New Brunswick, should easily suggest a minimum $30-40million Market Cap. Most of us are aware of Tahoe Resources&apos; very serious problems at their massive Escobal silver mine in Guatemala. Beginning in June, local protesters initially blocked access to the silver deposit, and over the past couple of months, gained the support of the courts to shut down operations. With no solution in sight, the future of the mine appears quite grim. Explor Resources Inc. (CVE:EXS) (OTCMKTS:EXSFF) (FRA:E1H1) announces today that it has granted an aggregate of 4,900,000 incentive stock options to directors, officers and consultants of the Corporation pursuant to its stock option plan. Both of the following interviews were conducted after the NR last Friday outlined the results of the drilling program at Explor&apos;s Timmins Porcupine West gold deposit. 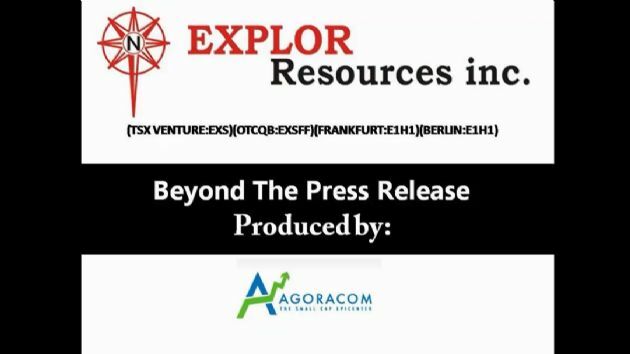 Explor Resources Inc. (CVE:EXS) (FRA:E1H1) (OTCMKTS:EXSFF) President Chris Dupont is interviewed by George Tsiolis of Agoracom, detailing the drilling results in the latest announcement made by Explor. 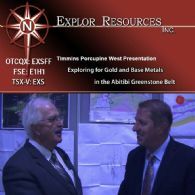 Explor Resources Inc. (CVE:EXS) (FRA:E1H1) (OTCMKTS:EXSFF) President Chris Dupont is interviewed by ABN Newswire regarding the newly discovered gold bearing shear zone within the company&apos;s Timmins Porcupine West project in Canada. 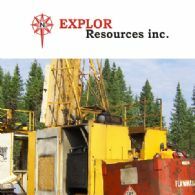 Explor Resources Inc. ("Explor" or the "Corporation") (CVE:EXS) (OTCMKTS:EXSFF) (FRA:E1H1) is pleased to announce the results of 8 drill holes being the next series of holes on the diamond drilling program. Quoting a major shareholder in a text to me this morning, &apos;It didn&apos;t take long for the criminal cabal to knock down the price of metals.&apos; Likewise, the instant the news on the drilling at the Timmins Porcupine West GOLD Deposit was released, our own junior cabal worked its magic in the market, suggesting the release was a huge disappointment. We are all anxious to see, and interpret, the concentrated 3,000m drilling results at the Timmins Porcupine West GOLD Deposit. Explor Resources Inc. (CVE:EXS) (FRA:E1H1) (OTCMKTS:EXSFF) is pleased to announce the beginning of a diamond drill program consisting of 3,000 meters. During the winter of 2017, the Corporation completed a geophysical surveys consisting of airborne mag, VLF and EM by helicopter on the property. This airborne program has defined some very interesting structures on the property. Explor Resources Inc. (CVE:EXS) (FRA:E1H1) (OTCMKTS:EXSFF) is pleased to announce that it has closed a second tranche of a non-brokered private placement of a maximum of 5,882,353 common shares and/or flow-through shares at a price of $0.085 each, for total gross proceeds of up to CDN $500,000. Given the relative importance of the 3,000meter drilling campaign to the Timmins Porcupine West GOLD Deposit moving forward, Dupont, and his crew, are painstakingly going over every inch of core to put the lab results into the proper perspective. 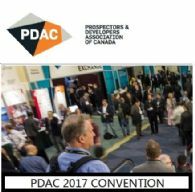 One of them actually created the HMC computer model of the TPW GOLD deposit many of us have seen featured at the PDAC. Explor Resources Inc. (CVE:EXS) (FRA:E1H1) (OTCMKTS:EXSFF) is pleased to announce that it has closed a first tranche of a non-brokered private placement of a maximum of 5,882,353 common shares and/or flow-through shares at a price of $0.085 each, for total gross proceeds of up to CDN $500,000. We&apos;re all excited gold appears to be getting stronger lately, holding in the US$1,265-70 range. Given some of the most recent geopolitical events, it&apos;s somewhat surprising that we haven&apos;t exceeded US$1,300 as yet. FORUM: Explor Resources Inc. (CVE:EXS) Timmins Porcupine West Drilling? The most recent information in regards to the drill core analysis is that we are close to seeing some preliminary results. Apparently, the lab has lost a key staff member recently, which has set their entire testing system back a couple of weeks. New supervisory staff have stepped in to bridge the gap, and they are doing their utmost to deal with the increased work load. Very nice to see gold trading a bit stronger to start the week. Optimistically, the upward trend will continue. The sad reality is the paper market will continue to dictate the price of the commodity, regardless of a diminishing supply, and growing demand in the physical gold market. With GOLD at recent lows, its nice to see EXS/EXSFF/E1H1 holding the prevailing .065-.07 level. That represents a Market Capitalization of just over $10million CDN. Let&apos;s look at the company&apos;s &apos;Cap&apos; for a minute. 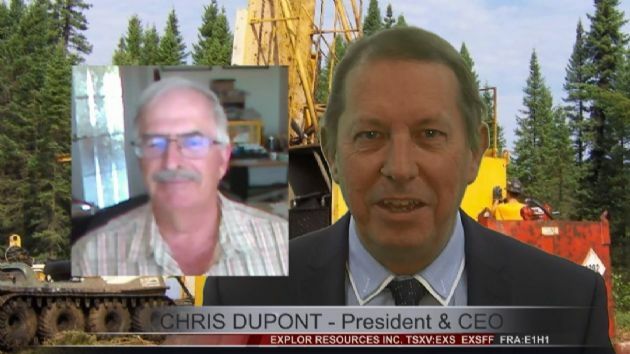 FINANCE VIDEO: Explor Resources Inc. (CVE:EXS) (OTCMKTS:EXSFF) (FRA:E1H1) President Chris Dupont on Recent Drilling at Timmins as well as the East Bay and PG-101 Projects in Canada. FORUM: Explor Resources Inc. (CVE:EXS) Something is Brewing? Four new Step-Out holes were drilled as well, denoted #124; 125; 126 & 127. #127 is still in process, but the other three were drilled to depths of 600-650meters. Most of the new core has been logged, sawed, and shipped to the lab for analysis. The drilling at the Timmins Porcupine West (TPW) is progressing nicely. Step-Out Holes #124 & #125 have been completed to a depth of 600meters (1,968ft). Existing Hole #109 has been deepened to 900 meters. 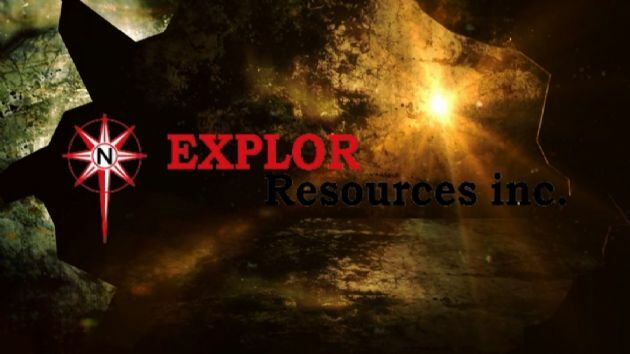 Explor Resources Inc. (CVE:EXS) (FRA:E1H1) (OTCMKTS:EXSFF) is pleased to announce the acquisition of 1 mining claim (8 units) totalling 128 hectares situated in the Porcupine Mining division, District of Cochrane, Wark Township, Ontario. This additional claim is east of the open pit Mine. FORUM: Explor Resources Inc. (CVE:EXS) Why Toronto? GOLD prices are moderately up and have hit a six-week high in early trading Tuesday, June 6. GOLD prices are now within striking distance of the key $1,300.00 mark. That can only bode favourably for Explor Resources Inc. (CVE:EXS) (FRA:E1H1) (OTCMKTS:EXSFF), given the Timmins Porcupine West GOLD Deposit &apos;Definition&apos; drilling currently underway. FORUM: Explor Resources Inc. (CVE:EXS) Turning Point? Chris Dupont & his team have completed preparations for the annual Canadian Mining Exposition being held May 31st to June 1st, in Timmins, Ontario, Canada. This gathering of Mining related companies has become a very important event, and from Explor Resources perspective, second only marginally, to the PDAC, held in Toronto. Last week&apos;s video interview has been very well received. I&apos;ve had a number of messages, and calls that expressed that attitude, especially the impromptu nature of it. 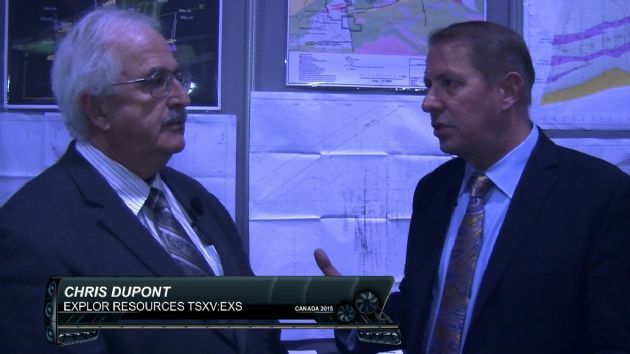 Its just two guys talking about the Company, focused on the current drilling at the Timmins Porcupine GOLD Deposit. 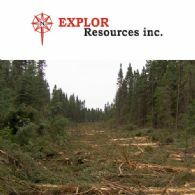 Explor Resources Inc. (CVE:EXS) (OTCMKTS::EXSFF) (FRA:E1H1) is pleased to announce the acquisition of a 37 mineral claims units package (4 claims) totalling 592 hectares, situated in Holloway and Marriott Townships in the Larder Lake Mining Division, District of Cochrane, Province of Ontario, contiguous to the PG-101 Gold Property. Chris Dupont, President & CEO of Explor Resources Inc. (CVE:EXS) (OTCMKTS:EXSFF) (FRA:E1H1) was interviewed by ABN Newswire. 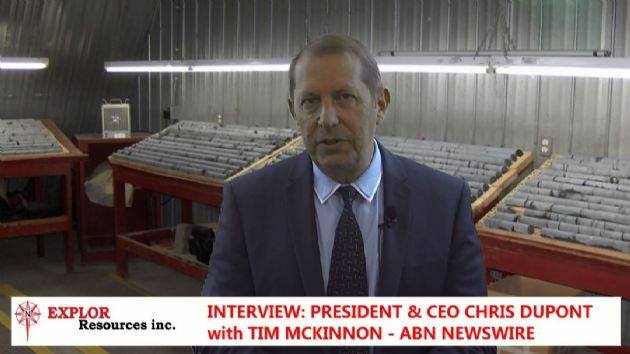 Explor Resources Inc. (CVE:EXS) (OTCMKTS:EXSFF) (FRA:E1H1) President and CEO Interviewed by Tim McKinnon at ABN Newswire on the Abitibi Greenstone Belt property the company is drilling. That&apos;s the best News Release I&apos;ve seen in a very long time! Here&apos;s why. I remember how excited Explor Resources Inc.&apos;s (CVE:EXS) CEO Dupont was back in December, 2014, when the TPW Earn-In Agreement with Teck was signed. 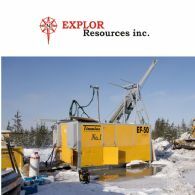 Explor Resources Inc. (CVE:EXS) (OTCMKTS:EXSFF) (FRA:E1H1) is pleased to announce the beginning of a 3,000 meter drilling program on the Timmins Porcupine West Property. Explor Resources Inc. ("Explor" or "the Corporation") (CVE:EXS) (OTCMKTS:EXSFF) (FRA:E1H1) is pleased to announce the results of the Diamond Drilling Program completed on the Kidd Township Property this winter. The Corporation&apos;s Kidd Township Group of Properties are located to the North, South, West and East of the Kidd Creek Mine Site, located approximately 20 km north of Timmins, Ontario. FORUM: Explor Resources Inc (CVE:EXS) (EXSFF) Why Explor.. Why Now. Firstly, of course, is where we are in the GOLD cycle? On a daily basis, I read the thoughts, insights & opinions of a variety of GOLD experts. I tend to largely overlook mainstream media in my decision making, as that reporting is generally &apos;after the fact&apos;. The long-awaited geophysics report at East Bay should be in Dupont&apos;s hands by the end of this week, or the beginning of the next. I believe we will see drilling commence on that property, prior to programs initiated on the others mentioned. 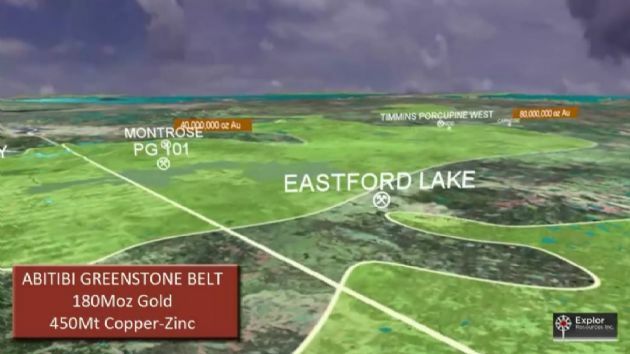 The PG-101 is adjacent to the eastern boundary of St. Andrew Goldfield&apos;s former producing Holt Mine Property and only a few kilometers east of their Holloway Mine property, recently acquired by Kirkland Lake. FORUM: Explor Resources (CVE:EXS) Held down by the "Dark Market"
Without overlooking that we have had little official news, other than funding for upcoming drilling programs, they agree our market is being intentionally depressed through the clever use of a variety of sub boards available to the brokerage community on the TSX. The examples of this are a frequent and daily occurrence. Explor Resources Inc. (CVE:EXS) (FRA:E1H1) (OTCMKTS:EXSFF) announces that it has closed a second tranche of a non-brokered private placement of a maximum of $900,000. Explor Resources Inc. ("Explor" or the "Corporation") (CVE:EXS) (FRA:E1H1)(OTCMKTS:EXSFF) announces that it has closed a first tranche of a non-brokered private placement of a maximum of $900,000. Explor Resources Inc. (CVE:EXS) (FRA:E1H1) (OTCMKTS:EXSFF) announces the closing of a first tranche of a non-brokered private placement of a maximum of 11,764,705 flow-through common shares at a price of $0.085 each, for total gross proceeds of up to CDN $1,000,000. Some of you may have noticed a little red flag in the corner of the Company&apos;s website. When you click on that, you will see sections of the website in Chinese. Obviously, a variety of steps are being taken to appeal to the huge, & growing numbers of investors in the Chinese mainland markets, as well as domestic Chinese investors. 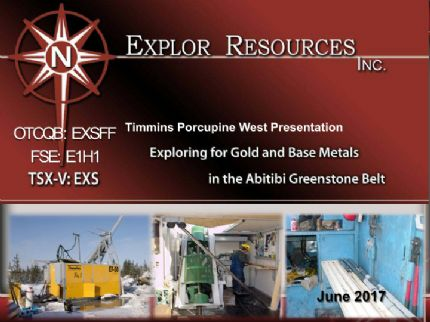 Explor Resources Inc. (CVE:EXS) (FRA:E1H1) (OTCMKTS:EXSFF) President Chris Dupont, in an interview with ABN Newswire, explains the history of the Timmins Porcupine West (TPW) discovery in the Abitibi Greenstone Belt in Canada. The first tranche of a $1,000,000 placement was closed & announced last Friday, March 31st. Paperwork & planning continues for drilling programs at Explor&apos;s PG-101; Montrose, and Duparquet (East Bay) properties. 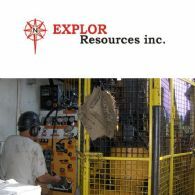 EXPLOR Resources Inc. (CVE:EXS) (OTCMKTS:EXSFF) (FRA:E1H1) www.explorresources.com, is a gold and base metals exploration company, with mineral holdings in the provinces of Ontario, Quebec and New Brunswick, Canada. 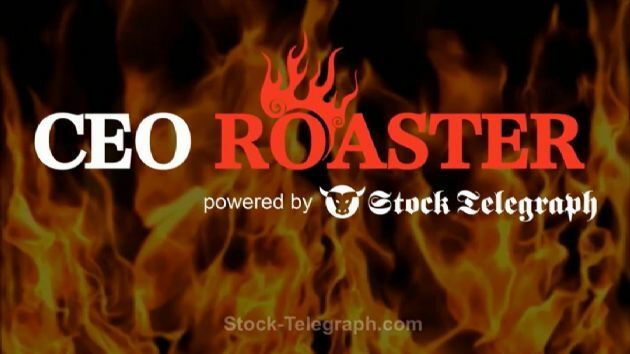 Exclusive CEO-Roaster Interview with Chris Dupont, President & CEO of Explor Resources Inc. (CVE:EXS) . The interview was recorded on March 6, 2017 at #PDAC2017 in Toronto. 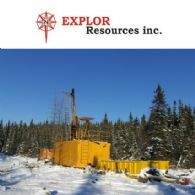 Explor Resources Inc. (CVE:EXS) (OTCMKTS:EXSFF) (FRA:E1H1) is pleased to announce further results from the 12 Diamond Drill Holes completed on the Chester Copper Property. 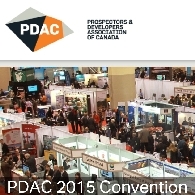 ABN Newswire is pleased to provide the PDAC2015 Video Interview Series conducted at the PDAC2015 Prospectors and Developers Association of Canada Annual Conference and Exhibition in Toronto. 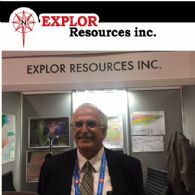 Chris Dupont, P.Eng., President and Director is a mining engineer and has been active in the mining industry since the early 1970&apos;s. He has been involved with junior public companies for more than 15 years.